Alvelid Engineering is a company that specializes in structural, fluid, and multiphysics simulations. Our team has experience in fields such as aerospace, automotive (including heavy and railway vehicles), nuclear power plants, and telecommunications. We are also experienced in modeling furniture and other consumer products. With simulation, our team helps designers and managers decrease their project time and costs, while increasing their confidence and understanding of the final project. To complete our goals, we combine our technical expertise and project management skills with our analytical and industrial knowledge, while collaborating with customers in a flexible and respectful manner. We offer material testing and characterization for elastomers and composite materials. For these analyses, we calibrate material models and use measured fatigue limits to calculate the fatigue life of the modeled products. Our team also provides digital image correlation (DIC) of the model's full-strain field for calibration, correlation, and validation. One such case involved an inductor simulation. For this, we used COMSOL Multiphysics® to model a time-dependent circuit with nonlinear magnetic materials. The simulation analysis helped us find a cost-effective design that met our client's technical requirements. Another case involved improving air flow in a paint shop that was being rebuilt. The client, a car manufacturing company, wanted to decrease the risk of overspray recirculating back onto the vehicle. 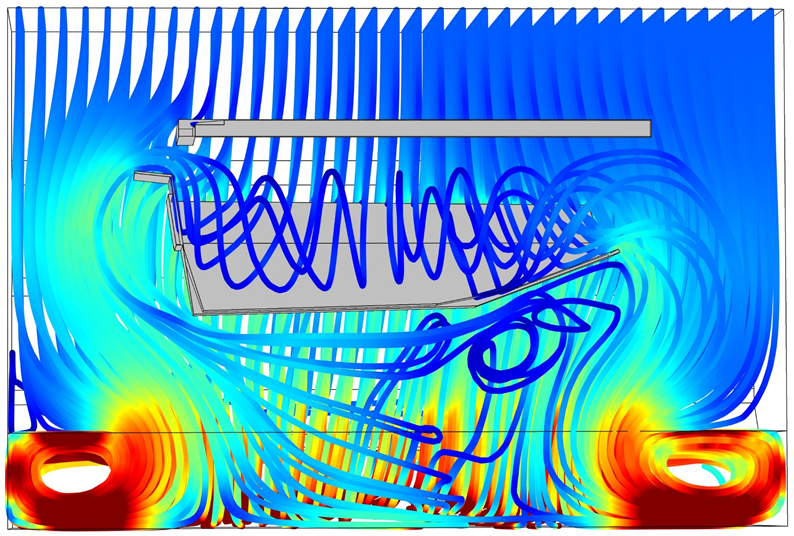 We found that we could accomplish this by reducing the turbulence in the air surrounding the vehicle. 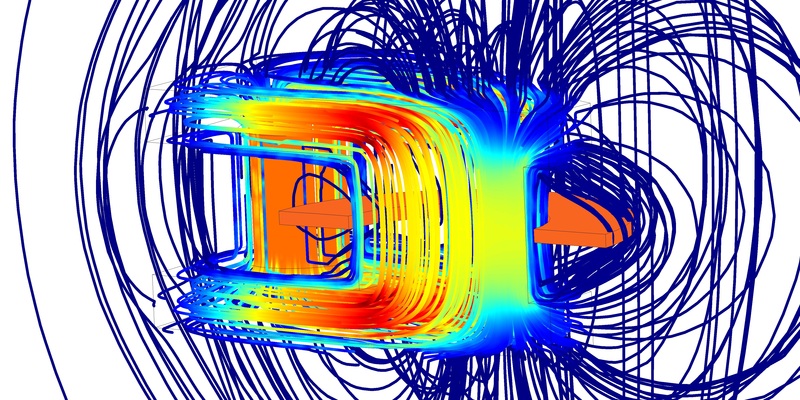 To investigate various geometries, our team performed air flow and CFD analyses in COMSOL Multiphysics®. The results indicated that the recirculation area can be minimized by covering some of the floor area, which forces the air to move in another direction.